Interesting presentation by Chetan Sharma listing what we can expect in 2014. Slide 9 as shown in the picture above highlights the breakthrough categories. Good to see that LTE-B ('B' for broadcast) has not made it into this list. 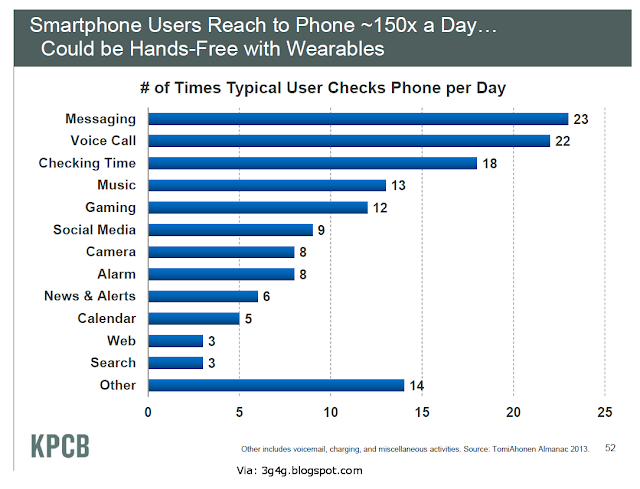 My guess is that connected cars and wearable computing will be in the news constantly throughout the year. 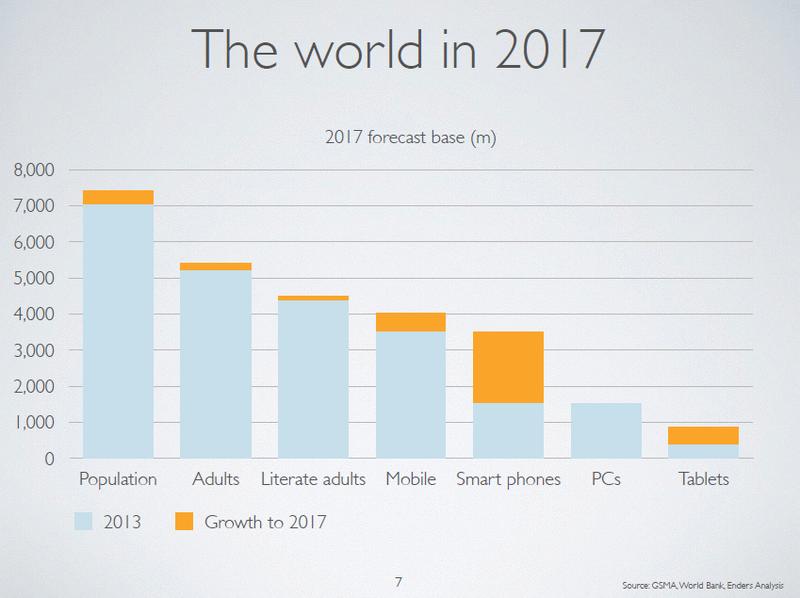 The finding placed mobile ahead of laptops or PCs (chosen by 30.6 per cent) and way ahead of TV (12.4 per cent) as the first and most important screen in the lives of people between the ages of 18 and 34. Just 5.8 per cent of those surveyed in the age group chose a tablet as their "first screen". The research also found that 45 per cent of 18- to 34-year-olds consider their mobile their first choice of device when interacting with online content, placing the platform just ahead of laptops and PCs, which scored 43 per cent. Among the wider 18 to 55 age group surveyed, a PC or laptop was seen as the "first screen" with 39.8 per cent naming either computer as their most important screen, while smartphones came second on 28 per cent. TV was in third place with 27 per cent of people naming it as their most important screen. Five per cent of the total group said they considered a tablet their "first screen". Only a quarter of the 18 to 55 age group said mobile would be their first choice platform if they wanted to access the internet, while nearly two thirds preferred to use a PC or laptop. Tomi Ahonen has always been referring to Mobile as the 7th Mass Media. 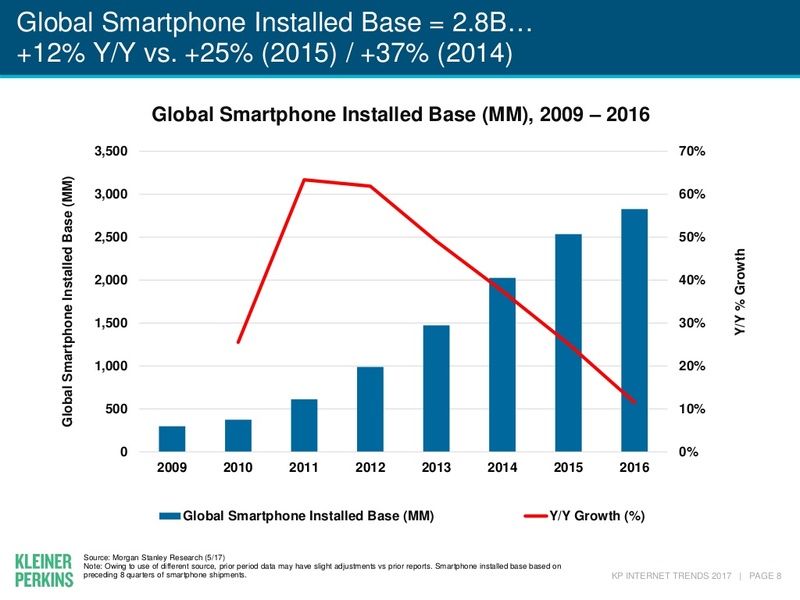 So when I saw this above picture (and there are more of them) in Ben Evaans slide deck (embedded below), it just reiterated my belief that Mobile will take over the world sooner or later. Anyway, the slides are interesting to go through. Nomophobia and FOMO are a big problem and I see this day in day out working in this industry. The slide pack which was actually posted yesterday has already crossed 550K as I write this, in just 1 day. So you can understand how eagerly awaited event this has become every year. To download the above, click on the Slideshare icon and then you can save from Slideshare site. If you want to watch the video of her presentation, its available on All things digital website here. This is an update to the presentation from 2011 that I blogged here. Click on the photograph to view the larger version. I assume, its self explanatory. The mobile phone is turning into Africa's silver bullet. Bone-rattling roads, inaccessible internet, unavailable banks, unaffordable teachers, unmet medical need – applications designed to bridge one or more of these gaps are beginning to transform the lives of millions of Africans, and Asians, often in a way that, rather than relying on international aid, promotes small-scale entrepreneurship. While access to a fixed landline has remained static for a decade, access to a mobile phone in Africa has soared fivefold in the past five years. Here, in one of the poorest parts of the globe, nearly one in three people can make or receive a phone call. In Uganda, almost one in four has their own handset and far more can reach a "village phone", an early and successful microfinance initiative supported by the Grameen foundation. One recent piece of research revealed how phone sharing, and the facility for phone charging, has been an engine of this small-business revolution. 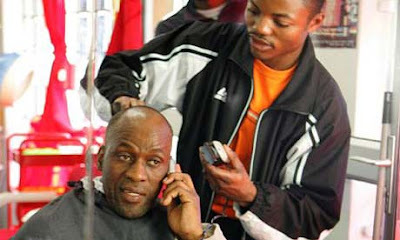 Particularly in rural areas, a small investment in a phone can first create a business opportunity, then maximise its reach by overcoming the possible limitations of real or technological illiteracy – because the phone operator can make sure the call gets through, and can cut off the call at exactly the right moment to avoid wasting any part of a unit. And what a difference a phone call can make. Often the mere fact of being able to speak to someone too far away to meet with easily can be a transforming experience. For fishermen deciding which market is best for their catch, or what the market wants them to fish for, a phone call makes the difference between a good return on the right catch or having to throw away the profit, and the fish, from a wrong catch. For smallholders trying to decide when or where to sell, a single phone call can be an equally profitable experience. But establishing market conditions is just the start. Uganda has pioneered cash transfers by phone through the innovative Me2U airtime sharing service, which allows a client to pay in cash where they are and transmit it by phone to family or a business associate hundreds of miles away. They receive a unique code that they can take to a local payment outlet to turn into cash. 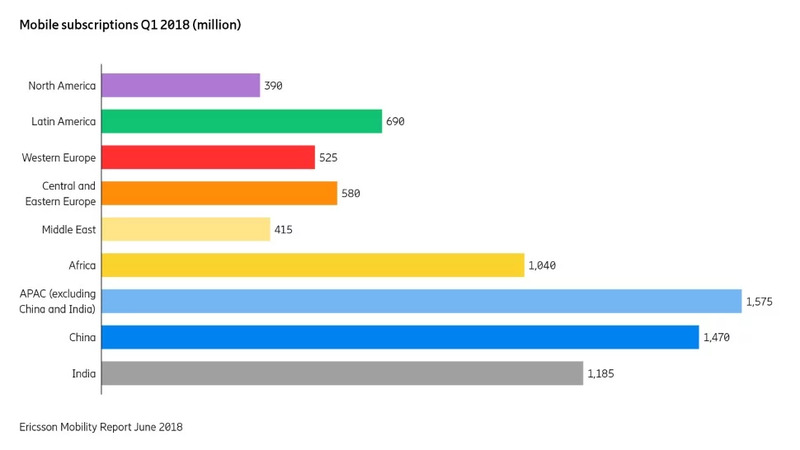 But the market leaders are M-PESA, a mobile money system set up by Safaricom, in its turn an affiliate of Vodafone, in Kenya (although it operates in Uganda now too). Less than three years old, it has 7 million customers and, according to some sources, processes as much as 10% of Kenya's GDP. 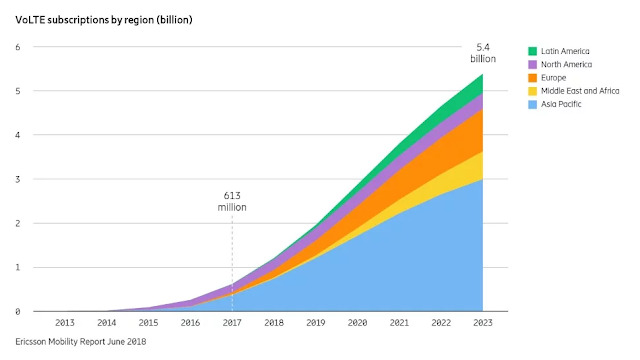 At a recent International Telecommunications Union session, Nokia's Teppo Paavola pointed out that there are 4 billion mobile phone users and only 1.6 billion bank accounts. The huge scope for providing financial services through mobile phones represented by that differential is a tempting prospect for the big players. But, as one British contender, Masabi, has discovered, it is one thing to develop a secure mobile payment system like their Street Vendor - which works on old handsets and in most scripts – and quite another to get a deal with the international financial regulators that police cross-border cash flows. Masabi has worked with another UK company, Kiwanja.net, that aims to help NGOs and other not-for-profit organisations use mobile technology. Ken Banks, founder of Kiwanja.net (Kiwanja means "earth" in Swahili) has pioneered a two-way texting system called FrontlineSMS that allows mass texting from a single computer-based source to which individual subscribers can reply. So for example, health workers attached to a hospital in Malawi can "talk" to their base to seek advice, pass on news of patients' progress or ask for drug supplies. The data can be centrally collected and managed. All that's needed is a mobile signal – far more available than an internet connection. FrontlineSMS is a free download: the aim is not to tell users what to do, but to help them work out how to apply the technology to their own problem. The only barrier to even greater mobile use, apart from international financial regulations, are the taxes levied by national governments that can make the cost prohibitive. According to one recent report, despite exponential growth in countries like Uganda there is growing evidence that what for millions is a life-changing technology risks leaving out the poorest. A bit old but may be interesting for people who are interested in Stats. 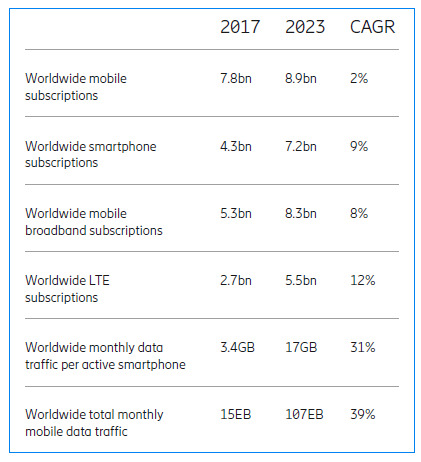 Back in Dec. Morgan Stanley released a report titled 'The Mobile Internet Report' which is probably one of the biggest collection of mobile Stats. The report while they call it a 'mobile internet' report - is in fact, a report on smartphone based use of browser data services. It is very US centric, but is global, and it is far too obsessed about the iPhone. And it disappoints me, that while the report writers are very aware of simpler technologies, even when they discuss the Emerging World, they obsess about 3G, which will not be a meaningful part of the internet experience in places like Africa for most of the next decade.. But it does discuss SMS to some degree, and briefly mentions MMS and 'non 3G' internet such as in China (ie WAP). It is also very good making analysis of Japan's mobile internet (including i-Mode before 3G). Totally worth downloading and reading. Now a few key highlights. 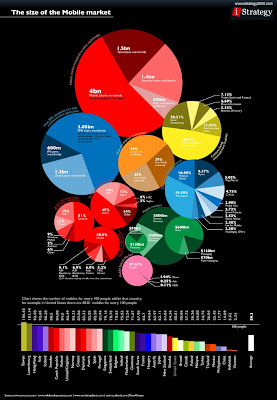 The total mobile data industry for 2009 worth... 284 Billion dollars. Wow. Morgan Stanley says it grew 20% this year (while the global economy shrunk 5%). 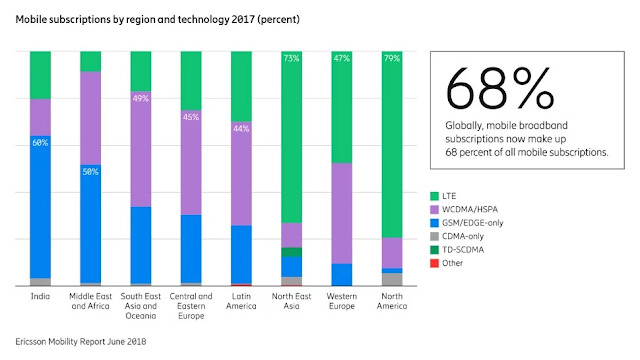 For those who were looking for regional splits of phone market shares or smartphone market shares - this report has them. 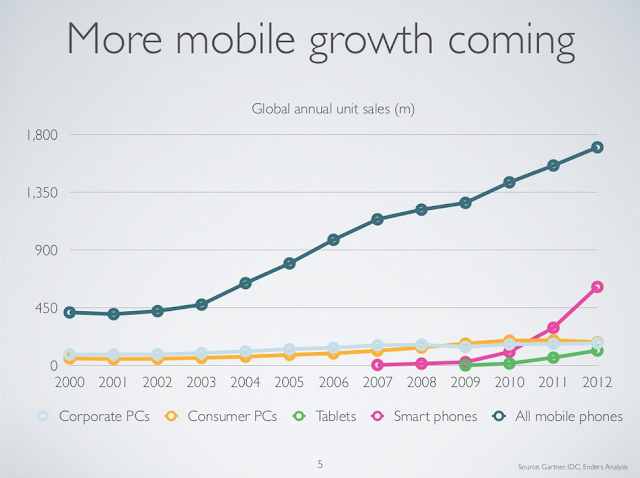 It says that the modern smartphone is equivalent to a desktop PC 8 years ago in performance. 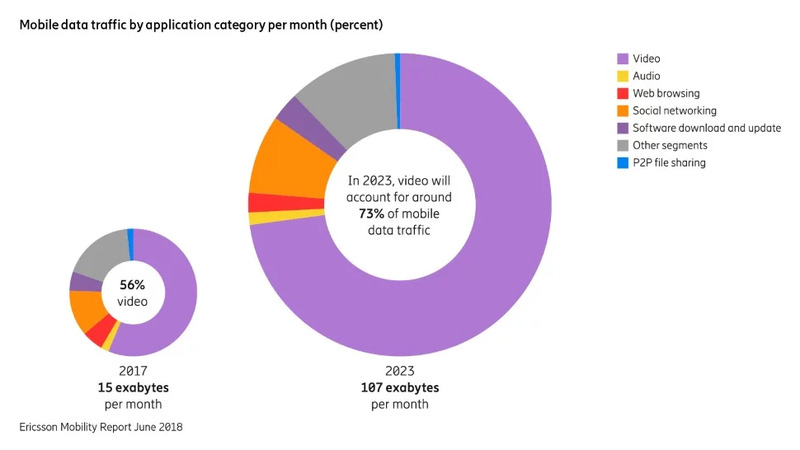 Haha, fave topic of mine - they also say that for internet content consumption - the mobile is 'better' in at least four areas (but not in every case). These 4 are email, VoIP, news and social networking. And they tell us that the value of paid digital content on mobile phones is 4x as big as the value of paid digital content on the PC internet. Earlier this week, I had the distinct honor of moderating a panel of some of the most eminent senior wireless research scientists and CEOs of wireless companies from Finland where we explored the future of the wireless landscape from user interface to reduction in carbon footprint to privacy and security issues and much more. Many people might not be aware but the City of Oulu in the central part of Finland is a leading epicenter of wireless activities with many major industry players setting up shops for doing R&D work. 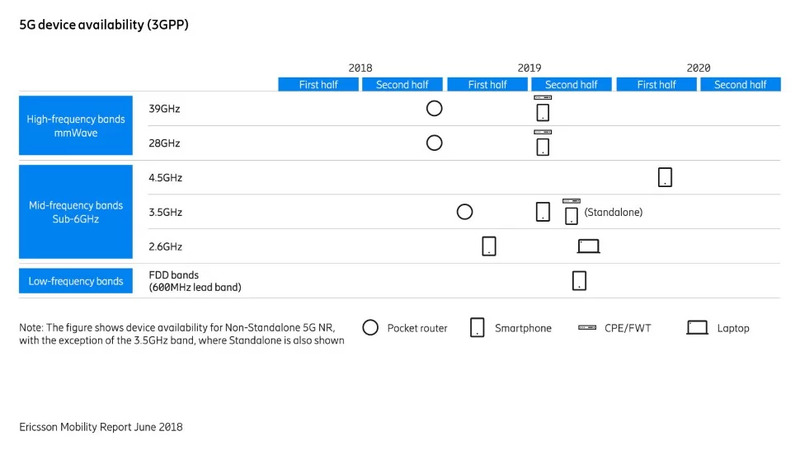 In fact, it is quite likely that one of the companies out of Oulu has had an impact in some way on the mobile phone you have in your pocket (and we are not including Nokia). The topic of our panel was “Your Wireless Future” – a broad topic that is always difficult to cover in 60 minutes or less. 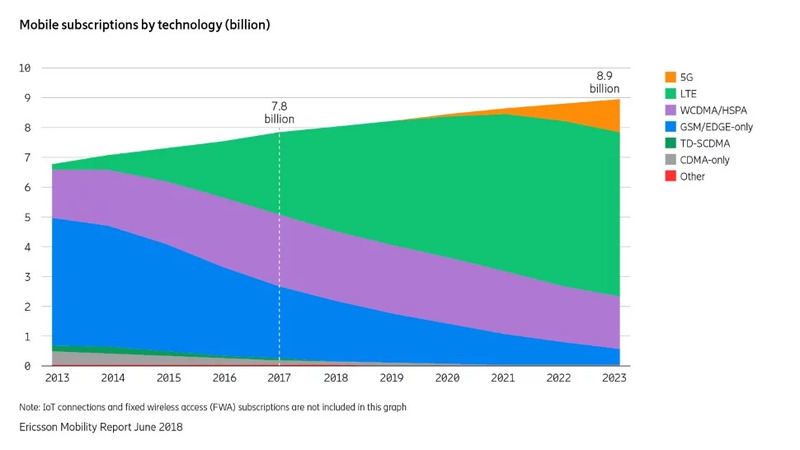 It is forecasted (by WWWRF) that in another 10 years, we will have 1000 radios per every subscriber. That would translate into few trillion nodes around us. The level of complexity and carbon footprint will be enormous. One has to figure out a way to address both. City of Oulu has first of a kind experiment with NFC where the technology has been embedded in day-to-day life from home, school, train station, restaurant, probably every object in the city. Pretty interesting experiment that will lead to interesting use cases and technology implementations. There are so many protocols being integrated into the device that hackers are targeting not only the data but the protocol weaknesses to gain access. IT finally starting to address smartphone issue in their networks. 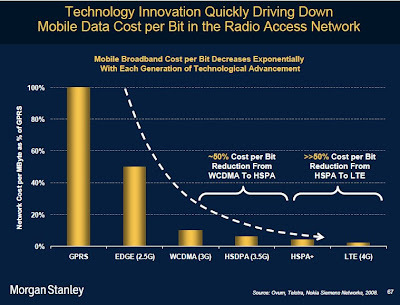 The role of Cognitive radio and SDRs will gain prominence as more access technologies get introduced. In a ubiquitous environment with finite spectrum, “sensing” technologies will have a great role in optimization. Sense and do the best for the consumer, the device, and the network. 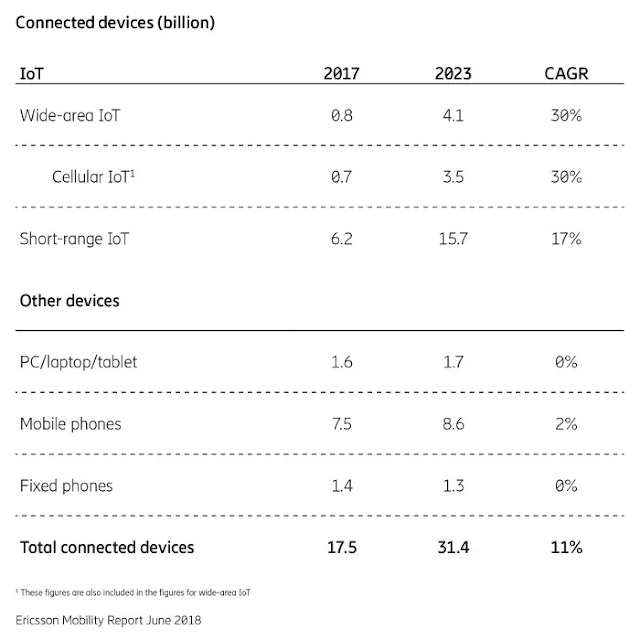 Hyper connectivity will become the norm. In addition to touch, gesture and face recognition will add to a better multimodal experience. 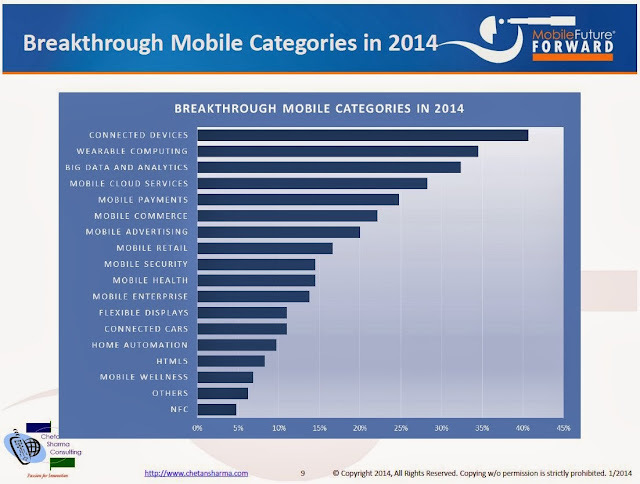 Mobile payments is coming and going to make a big impact. We have to of course sort out the business models. 3Cs of mobile – convergence, context, and community (Nokia’s Mantra). The very business of R&D has changed significantly with corporations choosing to outsource R&D and the cycle of concept to market launch has shrunk from 6 years or more to 12-18 months. More innovation will come from integration of existing technologies rather than some big breakthrough. Demand for bandwidth will keep growing. Significant opportunities in medicine, enterprise, and other industry verticals. In developing countries, while consumers are willing to pay for expensive devices, they don’t have any appetite for expensive service plans. World will go to free MIPS and free baud (computing and communications). What happens then? Moore’s law is good for another 15 years based on 5 generation of future chipsets that they have in the labs. And it will probably keep going after that. Awareness of context really important. 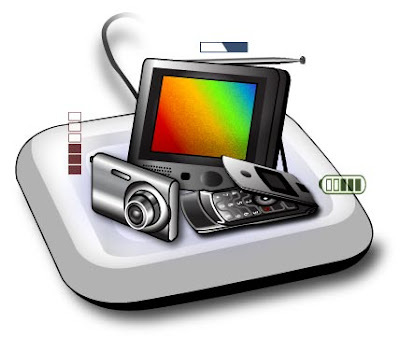 Many types of devices will proliferate including MIDs, education devices, some designed specifically for special purpose (medical monitors) and geographies (emerging markets). Global challenges are education, health, computing, and communication. In the developed world, wireless technology can help reduce the cost which is increasing at the rate of $200B/year and in the developing world, technology can help provide access to health care. Convenience and access trumps security concerns. Areas of opportunities – Telemedicine, education, economic development, governance, energy and environment. This is Craig’s 11th recession. Principle to tackle has been the same every time. You cannot save your way out of recession. You can only innovate out of a recession. Intel R&D budgets will remain the same. Innovation is key to surviving and competing in the global economy, now more so than ever. The fact that so much can be done in these tiny piece of electronics is just amazing and the drive to do better and more using technology keeps him going, keeps him inspired.